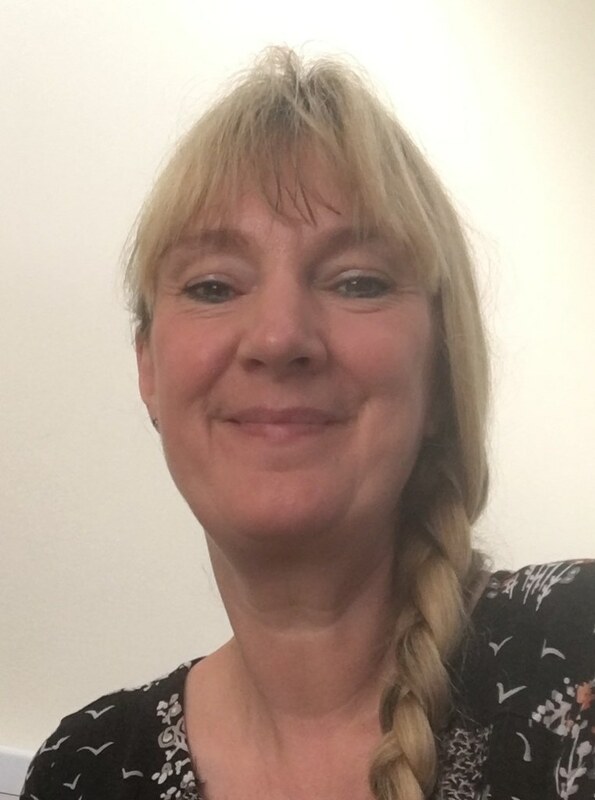 Kathy Bonney is the Head of Safeguarding at East Lancashire Hospitals NHS Trust, which has 5 hospitals and community services, serving a population of over 520,000 people - cared for by around 8,000 staff. Previously her background is in nursing, primarily in rehabilitation services, including developing a patient-led model of care. In her role as Head of Safeguarding, Kathy has implemented a domestic abuse policy for the trust, and secured funding for a hospital-based Idva. What made you decide to bring such a strong focus on domestic abuse to your role? A few years ago we were fortunate to have the opportunity to work with a local specialist domestic abuse provider, The Wish Centre, who brought an Idva in to the hospital as part of the IRIS project. This led to the Idva working as part of our hospital safeguarding team and within a very short time of being out and about on the wards, and we received many referrals. A high number of the patients who asked to see the Idva were not known to the police or specialist community domestic abuse services. They had simply seen an opportunity to disclose abuse in a safe environment to staff who could help. Over 160 patients were referred to the Idva that year, and we also started to see staff referring themselves for advice and support. In 2016 when SafeLives published ‘A Cry For Health’ we completed a gap analysis from the recommendations. The findings were exactly what we had seen in our Trust, and it really did strengthen our view that a dedicated Hospital Idva was needed. It also highlighted the importance of the ‘One Chance Rule’ – sometimes people experiencing domestic abuse might only have that one opportunity to tell someone. We have recently received financial support from the office of the Police and Crime Commissioner, and the Community Safety Partnership, allowing us to appoint a full time Hospital Idva who is due to start the role at the beginning of September. What have been some of the challenges of embedding a domestic abuse policy in a hospital? The commitment to safeguarding within East Lancashire Hospitals NHS Trust is second to none in my opinion. Every aspect of the safeguarding agenda has been considered, and we continuously strive to provide the best safeguarding practices, including in relation to domestic abuse, across all of our services. That said, it is not without challenges, especially as there are so many competing priorities for clinical staff. For example, if a patient is admitted via A&E with acute pancreatitis this has got to be the main focus; our clinical staff are facing life and death decisions every day. Domestic abuse may not be at the top of their checklist when faced with an acutely unwell patient! But if we can raise awareness so that our staff do think ‘domestic abuse’ for some of the illnesses or injuries that may be linked to domestic abuse, such as unexplained fractures, intentional drug overdoses, anxiety-related presentations, then we can make a difference. These may be challenges, but there are always solutions to the barriers we may face. We are strongly supported by Safeguarding Champions across all clinical areas, both in hospital and in the community. These champions continue to be instrumental in developing better ways of safeguarding people in their own area, and we welcome new ideas and opportunities to strengthen the support we give our patients. I am in a very privileged position, and I am inspired and motivated every single day by many people. Our patients are probably my main inspiration, and always have been in all of my roles. To have the courage to disclose domestic abuse, and then face what can be a very challenging journey is indicative of how strong people can be. I am also very much inspired by our specialist safeguarding team, safeguarding champions and our safeguarding partners, who go the extra mile every day to ensure vulnerable people are protected and supported. The local safeguarding community across health, social care and other agencies, look after each other – I suppose we all recognise how our work can take its toll, and people really are just at the end of a phone if you need them. We have a very strong local network. I have also been fortunate to meet individuals who have inspired me, and our safeguarding team, to keep trying to make a difference. John and Penny Clough, Jane’s parents, have shared Jane’s story and how her death had a devastating impact on their whole family, friends and local community. They have raised awareness of domestic abuse, stalking and other matters, on a national level, and along with others they have driven many initiatives that will save peoples’ lives. There are so many things I am proud of, and I think getting the support for funding to appoint our own Idva is one of our best achievements. It will make such a difference, and will benefit so many patients, families and staff. However, I am especially proud of how well we are able to support our staff who are experiencing domestic abuse. In December 2016 we introduced routine enquiry in to our Occupational Health and Well-being service. As well as identifying staff who want support, and have accessed support, we have raised awareness with these staff who are in a variety of roles across the Trust. As part of the focus on supporting staff I re-wrote the HR policy, based on staff experience, and what they wanted from the Trust as their employer. This is now a very proactive, staff-led policy that gives staff the opportunity to safely disclose domestic abuse, and access support as needed. The policy also recommends reasonable adjustments, such as flexible working patterns, and it supports staff to access specialist support such as the Freedom Programme. One of the best initiatives that has come out of supporting our staff is the ‘SEE Network’ – a peer-support group. We recognise that peer support is of great value, and we have individual staff members who themselves have experienced domestic abuse, and are in a position to support other staff on an informal basis. The name for the SEE Network was devised by individual staff from the Trust who have experienced domestic abuse, and represents the time when they were able to finally see that something was wrong and they needed support: Safe, Enlightened, Empowered. If you could give one piece of advice to health professionals encountering domestic abuse, what would it be? If health professionals are faced with someone who is experiencing or at risk of domestic abuse, I would ask them to remember the ‘one chance rule’. This may be the only opportunity to get support for that person.